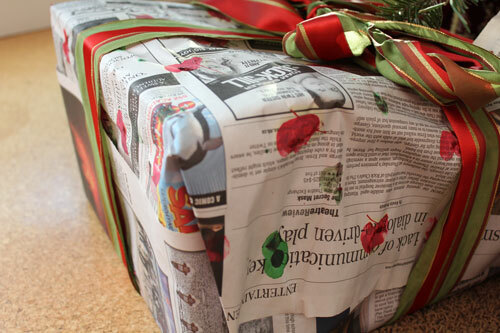 We use newspaper to wrap gifts and decided to make the paper a little more personal this year. 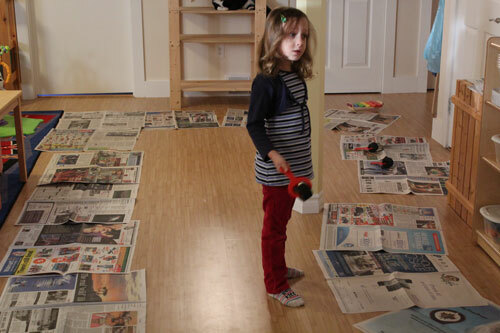 The layout- the plan was a circle of paper that would confine the girls to the painting area. 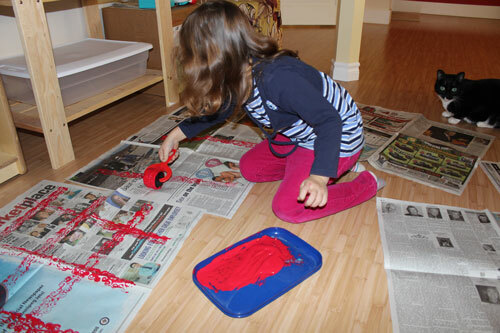 Using Paint and Clay Rollers we evaluated 3 different types of paint for Quality Classrooms. The red is non-washable- Yikes! Rose was very excited and luckily still in old pajamas. I was predicting a messy adventure. Pure joy and lovin the mess. Daisy was a little more organised once she got into the rollering. Her first few attempts lost the pattern. 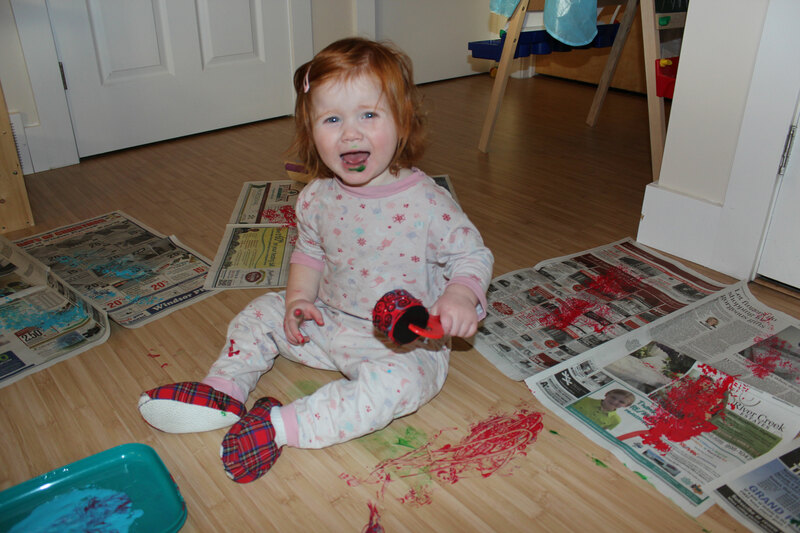 She was enjoying the process of rolling paint. 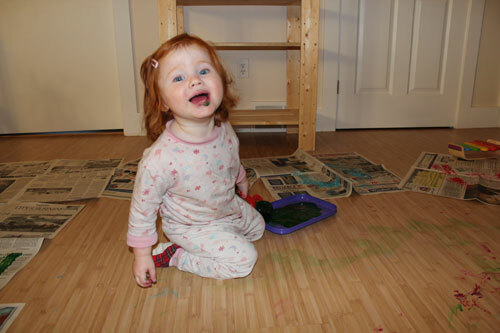 A green smile and also a green bum, hence the prints on the floor. 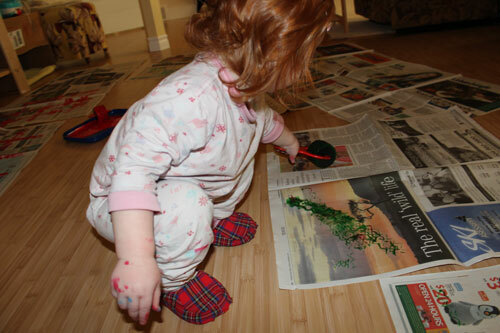 Enjoying the paint and sound of newspaper moving under the roller. The aftermath. I am letting it dry to test how well it washes out of clothing. 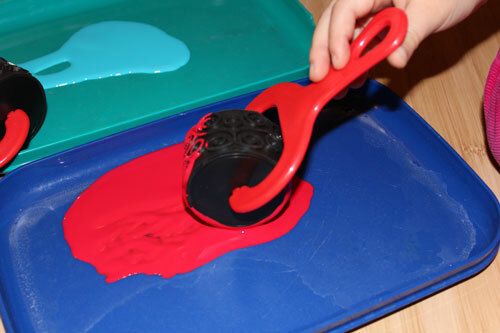 This paper we made using finger printing. 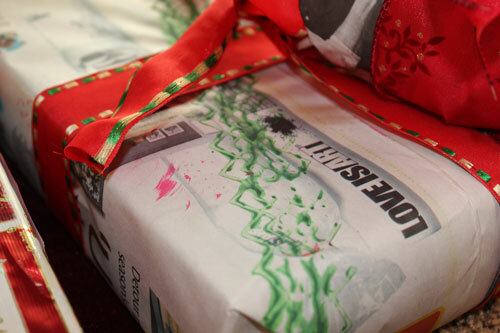 Newspaper printed paper – pretty and good for the environment. They look like they are having a wonderful time!! 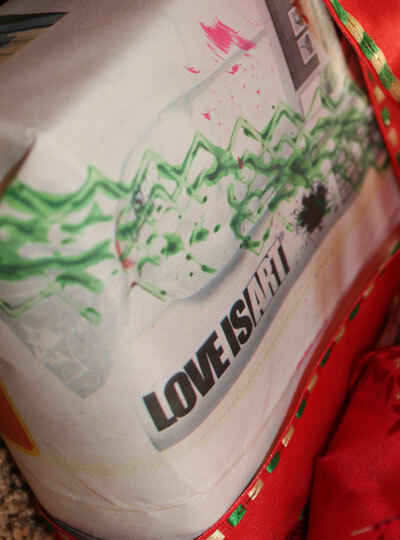 What a great way to reuse newspaper and get the kids involved! Yup lots of fun, for me too!